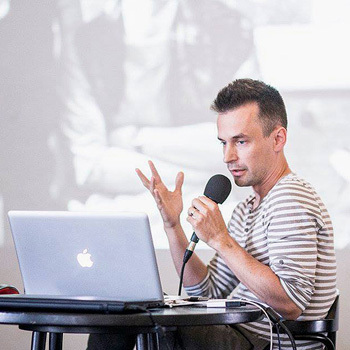 Ján Šicko is artist, designer, researcher and educator merging art, code and design. He is developing custom software and hardware to find new ways of expressions in different disciplines from architecture, light design, stage settings, product design to interactive installations and live performances. He is teaching at MediaLab* – Academy of Fine Arsts and Design in Bratislava. In 2009 he founded DevKid Studio because he love to make things real.